So, there was no way I was letting this opportunity pass me by when I had a garden at my fingertips and an open invitation from my friends to pick and eat whatever I wanted. I found this great recipe for kale and couscous with green garlic dressing on the Naturally Ella blog, and it was a perfect fit for my list of ingredients. 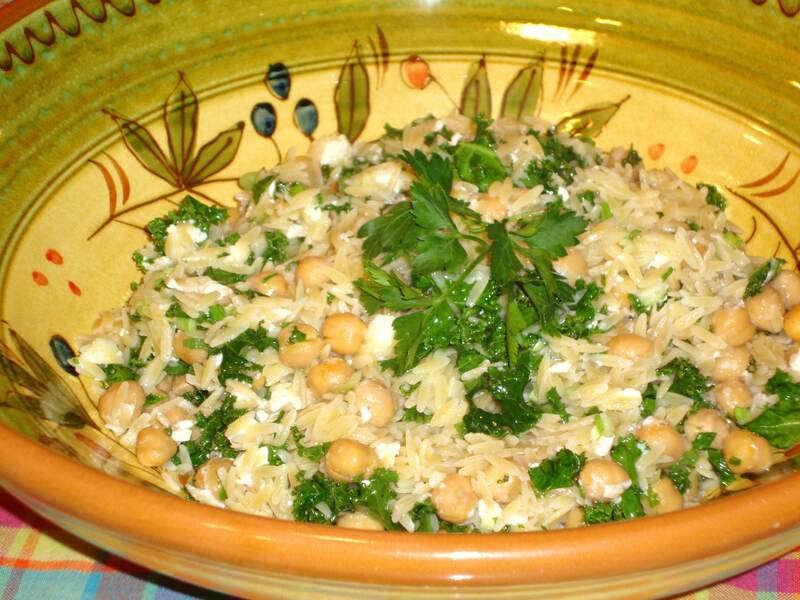 And while I love Israeli couscous, I switched it up for orzo in my version since I had some on hand in the pantry. The flavors in this dish are really fresh and light, with tang from the feta, crunch from the kale and nice acidity from the dressing (I used scallions since I didn’t have green garlic). It’s vegetarian, but it doesn’t feel like it since the chickpeas add a nice meaty texture. Sub out the couscous for your small pasta/grain of choice — regular couscous, noodles, etc. Place couscous in a pot and cover with water. Bring to a boil, reduce to a simmer, and let cook until couscous is tender, 5-8 minutes. Remove from heat and drain. Once couscous is done cooking, toss with kale. Let sit until kale is slightly wilted. Add in dressing, feta and chickpeas. Toss all together and serve. If you want it warm, heat 1 tablespoon of olive oil in a pan. Add in chickpeas, cooking for 1-2 minutes until heated through. Add in kale and cook until slightly wilted. Toss with couscous and dressing. 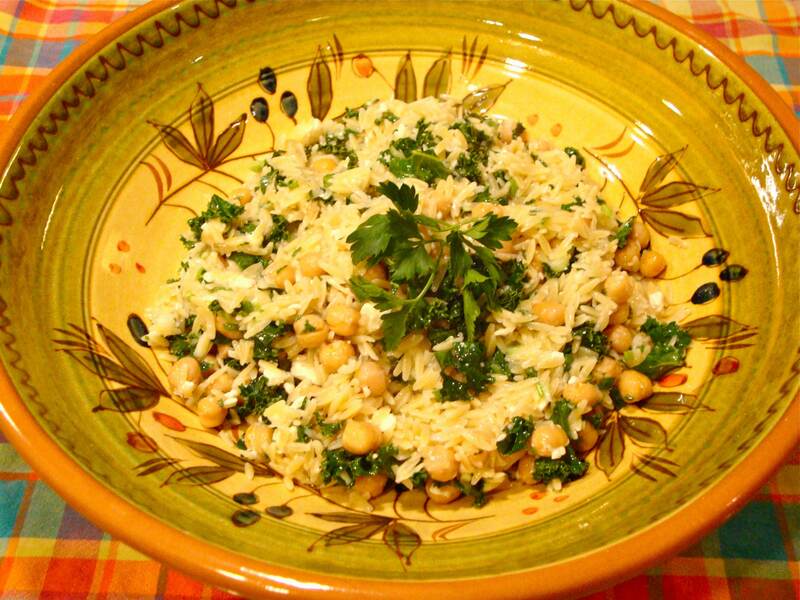 This entry was posted in Recipes and tagged chickpeas, couscous, kale, orzo, vegetarian by Tricia. Bookmark the permalink.